There are three macronutrients required by humans: carbohydrates (sugar), lipids (fats), and proteins. Each of these macronutrients provides energy in the form of calories. Fat and carbs are the two primary sources and protein is secondary to fat and carbs energetically. When we eat carbs they are converted into glucose and fats are broken down into fatty acids within the liver and than further into ketone bodies. 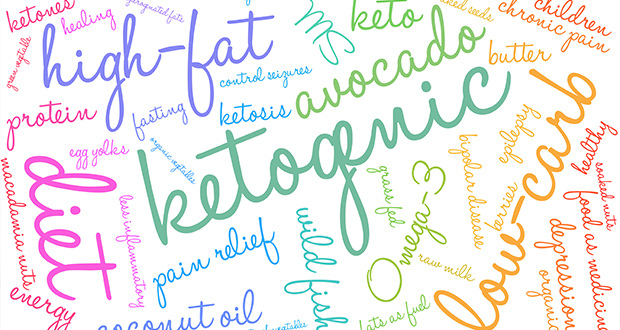 Ketones like glucose are energy molecules we metabolize in very specific ways that become ATP. ATP is a package of energy for the cell to encourage reactions at the level of mitochondria (energy organ of the cell). The form of energy comes from food we eat. This is why our diet is so powerful in health, treatment, and prevention of diseases. Carbs (glucose) cause more acidity, insulin resistance, and inflammation in the body; creating an environment for yeast, cancer cells, and disease processes to occur. Standard American Diet (SAD) beats up and causes inflammation in the liver- contributing to fatty infiltrates. SAD also causes plaque build up in heart and kidneys over time.